Krista Schlyer has spent much of the past decade chronicling the wildlife, landscapes, and human communities of the US-Mexico borderlands as the region has experienced an increasingly militarized US border policy. 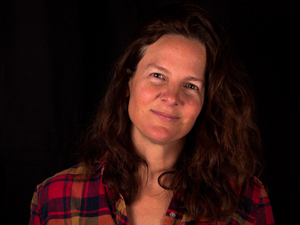 She is the author of Continental Divide: Wildlife, People and the Border Wall, a book that earned the National Outdoor Book Award and the Sierra Club’s Ansel Adams Award for Conservation Photography. She has collaborated with Sierra Club, Defenders of Wildlife, BBC, Esri, Earthjustice, and many more to highlight the ecological, economic, and human rights impacts of border policy. The campaign has included several short films, dozens of magazine articles, slideshow presentations, exhibits, social media outreach, and a book.